RACV lives their tagline ‘we’re there for you’ and builds significant brand appeal. 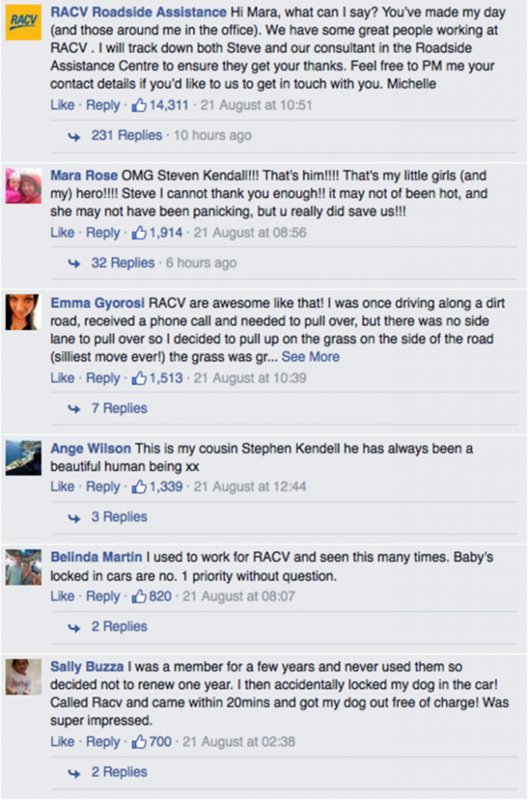 During the weekend, the RACV brand got a major boost and it wasn’t due to any stunt, advertising or social activation. This is a genuine example of RACV living their brand beliefs and as a result building valuable brand engagement with their members as well as many potential customers. 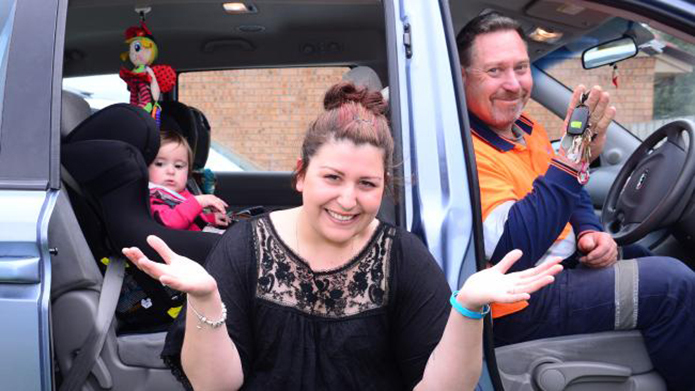 Rowville Mum Mara Goncalves did what she described the unthinkable, she locked her baby daughter in her car. She called her roadside assistance company only to be told her ‘package’ doesn’t include lockouts. She then rang RACV and they immediately dispatched a driver who arrived within 20 minutes. When Mara asked how much she owed him, she was told “it’s a courtesy call and that RACV will never ever allow a child to be locked in a car”. Mara said she was gobsmacked. “I just hugged him in tears! Needless to say, you have a new customer RACV! Well done!” Mara wrote on Facebook. The story immediately went viral on Facebook. Since the weekend, the story has been shared by more than 10,000 and ‘liked’ by more than 72,000 people. The story was also covered by the local Leader Newspaper. Judging by the comments, the RACV’s call centres have also been flooded with people looking to ‘join’ to show their appreciation for the brand. Mara is also now a member. Once again this is a reminder for companies that ‘living’ you brand values and beliefs is not only important to keep your current customers happy, it is incredibly powerful in attracting new customers. More importantly, this shows how a genuine brand gesture that probably cost the company less than $100, can be worth significantly more than the thousands, if not millions of dollars it invests in advertising. At the very least, it has cost they very little to make a brand promise come to life and truly engage their audience.